Segway Hoverboard miniPRO Review - Best Hands Free Segway 2018! Almost everybody has heard of a Segway. These large, two-wheeled personal transport vehicles first made their appearance in 2002 as a mode of transportation for police officers, airport and mall security personnel, and public works employees. Since that time, the use of Segways has spread to include tourist attractions, commuter transport, and mobility for disabled individuals. Originally projected to be the next big consumer item, the original Segway never sold as many units as the company thought it would. The two biggest reasons for this were the bulky size of the unit and the astronomical price tag. Every day people couldn’t afford to buy one. All this has changed with the Segway Hoverboard miniPRO, a smaller and less expensive option that has allowed the technology to land in the hands of more consumers. The Segway miniPRO hoverboard has been designed to put the magic of riding the balance driven, two wheeler into the hands of the normal, everyday consumer. Lightweight and portable, this little machine makes it easy to take a Segway wherever you go. The miniPRO weighs only 28 pounds, about half of what the original weighs. It operates by use of a removable, padded knee bar which controls forward, left, and right movements. When the knee bar is removed from the base, the miniPRO easily fits into the trunk of a compact car. 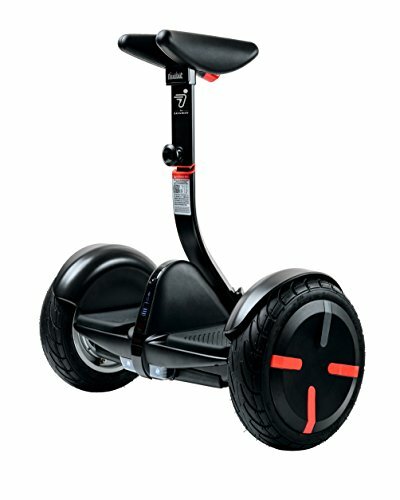 The Segway miniPRO is easy to learn to use. 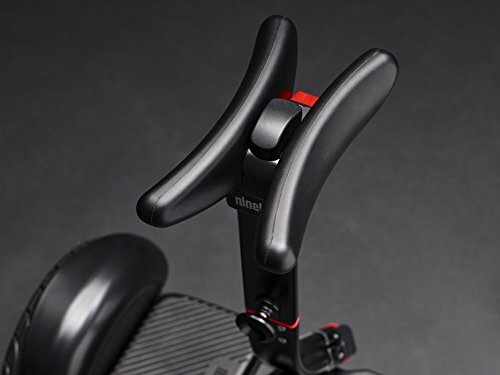 Instead of the old handlebar steering system, the miniPRO is controlled by shifting your weight while squeezing a padded knee bar. Movements are easy; lean forward to go forward, lean left to steer left, and right to steer right. The height adjustable padded knee control bar is very responsive to even the slightest movements, making it simple to travel from place to place, both indoors and outdoors. This Segway Hoverboard is made of aircraft grade magnesium alloy, a stronger metal than aluminum alloy. It rolls on 10.5 inch pneumatic tires with built-in shocks that allow travel over small bumps and rough surfaces. Headlights, tail lights, and turn signals are standard options. The adjustable height knee bar accommodates riders from 3’11” to 6’6″, but some very tall riders have complained that it is uncomfortable to ride. Unlike hover boards, the recent fad that led to disastrous fire incidents, the Segway miniPRO has been rigorously tested and recently approved by UL laboratories as a safe electrical appliance. The 800 W motor charges in a 4 hour time frame and powers the unit for about one and a half hours of continuous riding. The preprogrammed max speed is 10 mph, but the programming restricts the speed to 4 mph for the first 1 km (0.6 miles) as a beginner’s training level. A Bluetooth app for Android and iOS controls lights, anti theft alarms, speed, vehicle diagnostics, and provides periodic firmware updates. The miniPRO is designed for indoor and outdoor use, and will travel over flat even surfaces- even dirt or firm packed sand. It will also travel up hills with a slight incline. Even though the miniPRO is easy to operate, it is not a toy and should not be given to children under 16 years of age. Designed for riders from 85 to 220 pounds, it is suitable for older teens and adults. All riders are advised to wear a safety helmet. The miniPRO makes the Segway portable and lightweight. It is extremely easy to use and offers a comfortable ride with its padded knee rests. The adjustable height knee controller accommodates riders of different heights and weights, and can easily be removed to allow the miniPRO to fit in the trunk of a car or be stored in a closet. The military grade magnesium alloy frame is strong and long-lasting. Safety lights make riders visible to motorists and pedestrians. The pneumatic rubber tires allow travel on a variety of surfaces. The Segway miniPRO is more affordable than the full sized model, but the price tag is still relatively high. 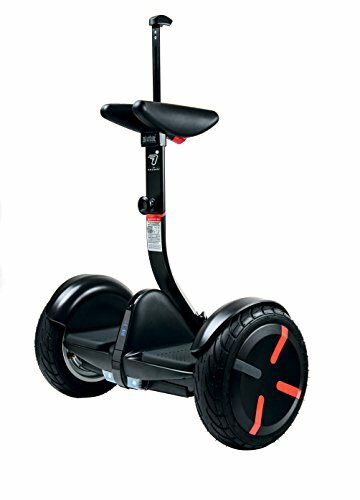 The design is similar to many of the hover boards on the market that are less expensive, so you have to wonder if part of the price tag is because of the Segway brand name. The maximum speed is only 10 mph, and that varies based on rider weight. 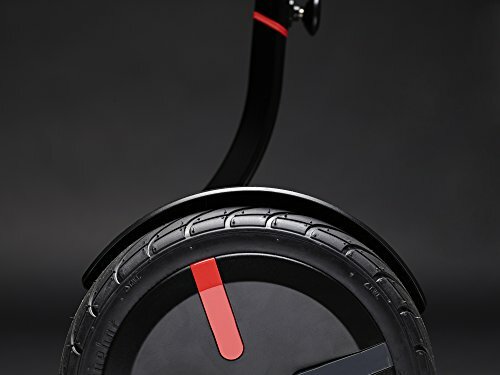 Some riders have complained that the Segway actually has reached a speed above 10 mph while traveling downhill, which forces a safety feature to activate that immediately decreases the speed to 4 mph and throws the rider forward. Segway's miniPRO Personal Transporter has made it easier for people to own and operate one of the highly desired two wheel machines, but the price is still above what it should be. For the amount of money you will spend, you would expect to have a longer ride and more speed adjustments. The fact that Segway has had extensive testing done to establish the safety of the device is impressive and reassuring to consumers after the hoverboard fiasco of the last two years. Even though it is constructed of high quality materials and offers extras like safety lights and a control app, the miniPRO is still out of reach for most people. Although the quality of the product is exceptional, product upgrades were never thought of from the beginning. first off, the steering mechanism is held on by a clamp that has no clamping strength from separation from it’s main component. The reason why I know? My daughter gave control of the MiniPro to my wife at the park and the whole clamp failed to take hold of the Segway itself and allowed separation from the arm and went straight into the lake. She fell on the concrete while trying to recover it and she scraped her elbows and watched our brand new Segway MiniPro go straight into the lake with bubbles. We reached out to Segway by email and we have never heard anything back. You might duck tape your steering arm to your unit until they have a fix. Great product otherwise. The steering mech is all we have left of our purchase.